is one of the first online casting companies and still one of the top two. They allow voice over artists and voice producers (talent) to sign up and become a subscriber of the site. And they allow voice seekers (clients) to post general auditions for voice over jobs, invite specific talent to audition for jobs, or to contact talent directly to offer them work. The talent can live anywhere in the world. And the voice seekers can be from anywhere in the world. So it's possible for a French speaker in Tahiti to audition for a travel video produced in the Republic of the Congo. OK, this is a bit extreme (but true!). 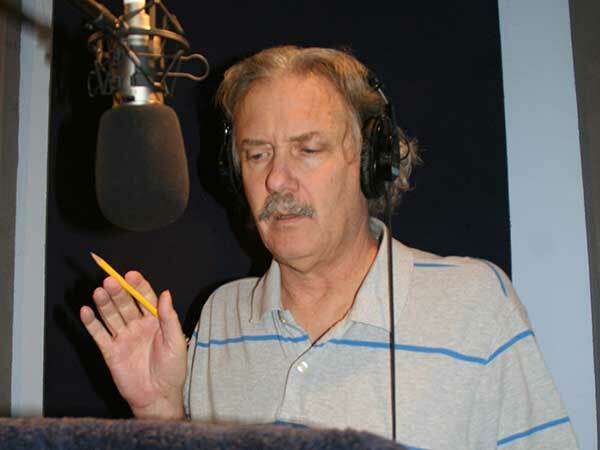 But a voice talent in Florida can easily audition for a voice over job in British Columbia. So the good news is you can get voice over work all over the country and the world. The more serious news is you compete with talent from all over the country and the world. This opens up voice over opportunities for talent that live in areas that are not the main media centers like Los Angeles, Chicago, New York, Atlanta, Houston, etc. And it lets voice seekers anywhere in the country select from the best talent regardless of the talent's location. You have a Custom Webpage to highlight your services, talent, equipment, credits, unique attributes, etc. You can receive and respond to direct invitations from voice seekers to submit auditions. You appear in the Directory Listings. 100 MBytes of storage for your Demo files to showcase your abilities. You can reply to the job postings. The Preferred Lite costs 49.95 a month but unless your really strapped pay by the year--you save a bunch. 100 MBytes of storage for your Audio, Video and Text files to showcase your abilities. The Premier Plan costs $399.00 per year which saves you 33% over the monthly payment plan. Voices.com has a easy to use system for job postings. Each job has an Overview, a Job Posting and a My Audition section. The Overview section tells you the job status, the posting and deadline dates and the number of people who have submitted auditions so far. The Job Posting section gives you details of the job including a description of the project, word count, type of voice required and budget range. Ahh... but there's more. Voices.com has a system to assure you get paid in a timely manner which they call the SurePay™ Escrow Service. When a client uses the SurePay™ system they deposit your fee for the job in Voices.com's escrow account. Then you do the job and upload the files. When the client approves the job they release the money and you get paid in the next payment cycle. No waiting months to get paid. It protects you and it protects the client. Voices.com post auditions for a wide variety of jobs such as commercials, industrials, audiobooks, phone systems, animation, narration, promos and trailers, video games and toys. These can also be local regional or national--or for use in other countries. There is also union and non-union work although the bulk of the work is non-union. If you ask around and read online blogs you'll get various opinions of online casting in general and voices.com in particular. Let me tell you why I recommend Voices.com if you are just approaching this industry or you're a pro that wants to expand your horizons. One of the big questions I get asked by my class and online students is: where can I get copy to read in order to practice and stay sharp. Well, duh, if you're a subscriber to voices.com you'll receive several audition scripts each day--I get 10 or more per day. And these are real-world scripts. Some of the writing is fabulous. Some of it is a little weak. Some of it is downright lame. But this is the type of material you'll encounter every day as a voice over talent. So even if you never audition you have fresh copy to practice on each day. But it gets better. You know how you say "I really should practice reading copy... but The Walking Dead is on TV..."? With the Voices.com copy you're motivated to practice because these are real auditions you're reading for. Do it well and you could actually book the job. So each day you get to practice reading copy, hone your recording skills, evaluate your progress, and then ship an audition to a real-world client. Voices.com sorts their jobs by category and there's a bunch of them. There's Audiobooks, Business, Cartoons, Documentaries, Educational, Internet, Jingles, Movie Trailers, Music, Podcasting, Radio, Telephone, Television and Videogames. And you can upload a demo specific to each of these so they can be targeted to those specific types of clients. The clients can then search for talent by voice and category so, for example, if they search for cartoon demos and you have a cartoon demo, you appear in the search results for cartoons. You are not going to get rich on Voices.com . Most of the jobs are local or regional or non-broadcast. But if you're consistent about working the system you'll start to receive direct invitations from clients who have bookmarked your voice and you'll have repeat business from jobs you win as you build a clientele across the country. So you can develop a second income from it. Combine Voices.com with the other online casting sites and things can start to add up. It costs $399.00 per year to be a premier subscriber and jump into the thick of the voice over world. The way I look at it, if you get one or two jobs a year, you'll recoup the subscription cost--and have many opportunities to learn, perfect your craft, evaluate your progress and make even more money.